The Australian Open is the first Grand Slam of the New Year, running from 19th January to 1st February. Each Grand Slam of 2014 had a different champion in the men’s singles, and that sets us up for an intriguing 2015. All of the men’s top 100 players will be competing in the tournament, making up a stellar field for the Melbourne showpiece. The organizers of the tournament have recently announced that they’ve changed their extreme heat policy, after temperatures soared above 40C during last years competition, with some players fainting or suffering from heat stroke. This in itself shows that the hard-court tournament is a unique challenge for the players, and experience will count for a lot. Each Grand Slam last year had a different winner. Stan Wawrinka won this title last year to pick up his first Grand Slam, while Marin Cilic did the same at the U.S. Open. Novak Djokovic won his second Wimbledon title, and Rafael Nadal won his ninth Roland Garros title. Behind the World’s top four, it’s also been a good season for the likes of Kei Nishikori, who has risen to 5th in the rankings and finished runner-up in the U.S. Open; and Grigor Dimitrov who won Queens and reached the semi finals at Wimbledon. The big four still dominate the betting though, with Djokovic rightly at the head of affairs. World number one Djokovic is a worthy favourite for the title. He won the Australian Open in 2008, 2011, 2012, and 2013, and will be aiming to regain the title for fifth time. He’s apparently happy off the court with his recent marriage and the arrival of a new baby this year, and he signed off the season by taking the ATP World Tours Final. The talk in tennis after last year was of a new breed of players ready to come in and take over from the old guard, with Cilic, Wawrinka, Nishikori and Dimitrov cited as the quartet to take the men’s game by storm. 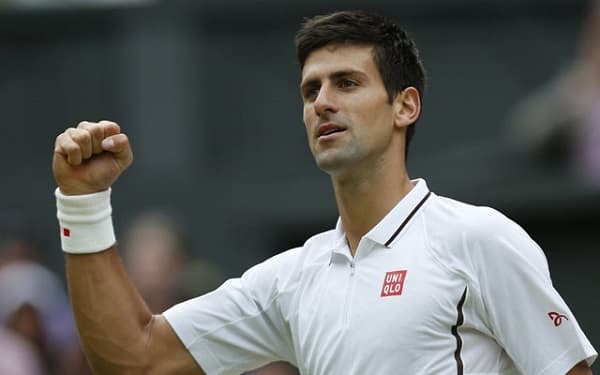 Djokovic, Nadal, Federer and Murray might not be ready to step aside just yet, and Djokovic will make that talk look premature if he wins the first Open of the season. If he’s fit and firing, he is a very difficult opponent to live with, and on this occasion it’s worth taking the short odds on him walking away with a fourth title in five years. Nadal is world number 3, but he’s had a tough year battling injuries. He’s confirmed that he will play in the tournament, but there have to be question marks over his ‘match sharpness’. If he does win, he’ll become the first player in Open-era history to win each Grand Slam at least twice. At 33 years of age, Federer is doing well to maintain the level of the form to still be ranked world number 2. He’s had a decent season in 2014, and would add to his victories in 2004, 2006, 2007, and 2010 if he wins the title. Murray has suffered an inconsistent season which has seen him drop to 6th in the world rankings. He may still be recovering to an extent from the back surgery, and it would take a small leap of faith to think that he’ll come back to form in Australia. Wawrinka comes to defend his title in Melbourne having risen to number four in the world rankings. It’s often the case that when players win their first title they find it difficult to cope with the pressure immediately afterwards, and that could certainly be said of Wawrinka. However, he won Monte Carlo and was part of the winning Davis Cup team. He could be a dangerous competitor here as he returns to the scene of his greatest career victory to date. If that inspires him to reach the same level again, he looks like a good outside bet for the tournament. Cilic is a huge price with 888Sport and Unibet, when many other bookies go as low as 16/1 17.00 +1600 16.00 16.00 -0.06 . That’s not to suggest that the surprise winner of the U.S. Open is worthy of odds so low, but if you fancy an each-way long shot on the Croatian, it pays to take the best odds. He may have been a little flattered by that U.S. Open win though, as there were circumstances affecting most of the top players, so it remains to be seen if he can add more Grand Slams this season. Form at previous tournaments can be a good guide to betting here, as players tend to excel on particular surfaces and with the added heat factor, a player with a strong tournament record is worth keeping onside. Djokovic has the outstanding credentials having won four times, including three of the last four years. Federer has also always done well in Australia, the Swiss player has reached at least the semi final stage every year since 2008, which is quite some record. He’s also won it four times. Nadal has reached the final in the last two tournaments he competed in – he missed the 2013 renewal – but has only won it once, in 2009. Wawrinka had never been beyond the quarter finals of the tournament before he won it last year, and he didn’t go beyond the quarter finals of any other Grand Slam in the rest of the year afterwards. However, he’s very much at the other end of his career to some of these players, and could go on to be a force in the game for some years to come. Of the outsiders, he could be the best bet as an each-way punt alongside the main bet on Djokovic.